A beginner's guide to getting started with the IoT by using a Raspberry Pi to connect devices. 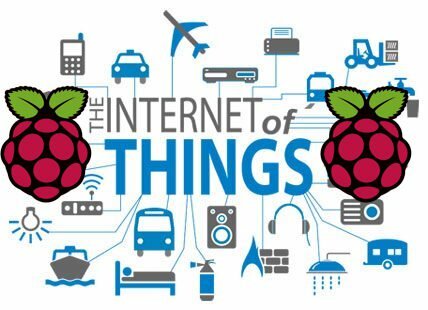 This Raspberry Pi project is the best way to get started on working with the IoT (internet of things) and to build your knowledge to expand it to other applications. The first problem was figuring out a simple enough sample project to learn how to make sensors communicate with each other. So, we made a step-by-step guide for Pi beginners so you can learn various methods that can be used to make your application of choice. We have divided the whole Raspberry Pi IoT project into two parts. The first part consists of setting up the Raspberry Pi and interfacing it with the sensors. The second part covers building the Android application and connecting it to the server. Raspberry Pi can only handle digital signals. 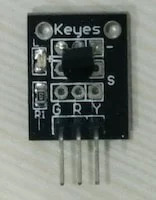 The DS18B20 is a digital temperature sensor. In the above Keyes model of the sensor that we used, the left-most pin is Ground, the center pin is VCC, and the right-most pin is Output/Data pin. The sensor that we used came with a 4.7K-ohm resistor connected between VCC and the data pin. You might have to connect an external one in case yours does not have it. It requires an input voltage of 3.3V. The PIR sensor detects motion using infrared rays. 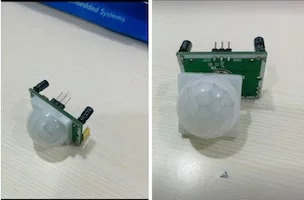 It is important to know that this motion sensor has a detection delay of about 3 seconds (adjustable) during which the pin state stays high and the sensing distance is adjustable from 3–7 meters. It also comes with a lock time (in our case, 3 seconds) which is the minimum time interval between two accepted signals. It requires an input voltage of 5V. Pin specifications are given on the sensor itself (picture on the right). If you already have a Raspberry Pi set up, move over to the next step to start with your Raspberry Pi IoT project. Otherwise, download the Raspbian OS for your Pi. There are many other distributions you can use, but Raspbian remains the most common and convenient for beginners. Extract the .img file from the downloaded zip folder and write it to your SD card. Insert the SD card reader with the SD card in it. Figure out the Drive assigned to it. Click "Write". Wait for the process to complete and eject the SD card. Side note: While on this step, we got stuck because our SD card became read-only due to a tiny lock on the SD card reader that we had ignored. Watch out! Run df -h on the command line. This will list out the devices currently mounted on your device. Insert the SD Card reader with the SD Card in it and run df -h again to figure out the device name. It’ll be something like /dev/mmcblk0. Unmount the SD Card with umount /dev/mmcblk0 replacing /dev/mmcblk0 with your own device name. You might want to format the SD Card with FAT32 (use sudo mkdosfs -F 32 -v /dev/mmcblk0) just to be sure. Now, write the .img file to your SD Card with sudo dd bs=1M if="/home/linux/2016-05-27-raspbian-jessie-lite.img" of=/dev/mmcblk0. Edit to add the path to your extracted file (after if=) and your device name (after of=). Wait for the process to complete and eject the SD card. Connect the SD card reader with the SD card inside. From the Apple menu, choose "About This Mac", then click on "More info..."; if you are using Mac OS X 10.8.x Mountain Lion or newer, then click on "System Report". Click on "USB" (or "Card Reader" if using a built-in SD card reader) then search for your SD card in the upper-right section of the window. Click on it, then search for the BSD name in the lower-right section; it will look something like diskn where "n" is a number (for example, disk4). Make sure you take a note of this number. Unmount the partition so you will be allowed to overwrite the disk. To do this, open Disk Utility and unmount it; do not eject it, or you will have to reconnect it. Note that on Mac OS X 10.8.x Mountain Lion, "Verify Disk" (before unmounting) will display the BSD name as /dev/disk1s1 or similar, allowing you to skip the previous two steps. From the terminal, run the following command: sudo dd bs=1m if=path_of_your_image.img of=/dev/rdiskn. Remember to replace "n" with the number you noted before! After writing the image file to your SD Card, insert it into the respective slot (at the back of your Pi) and we are ready to boot! Getting a dedicated monitor, mouse, and keyboard to use your Raspberry Pi might become an unnecessary hassle. Access to the terminal is sufficient to get most things done. So we eliminate the need for extra hardware by logging into the Pi using your personal laptop through SSH. Latest versions of Raspbian come with SSH enabled by default, so you can run Pi remotely even while setting it up for the first time. Get a router with DHCP enabled. This is necessary because we want our Pi to have a unique IP address to be able to connect to it. Connect both your laptop and your Pi to the router via ethernet cables. Your laptop and Pi now share a local area network and can identify each other using their unique IP address. 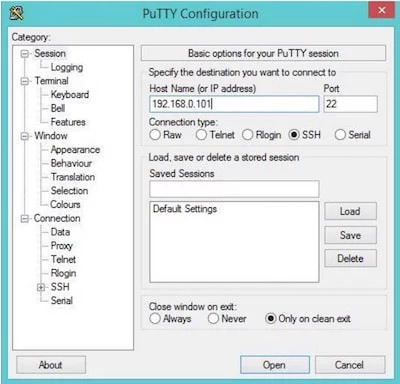 Use PuTTY to access Pi’s Terminal. 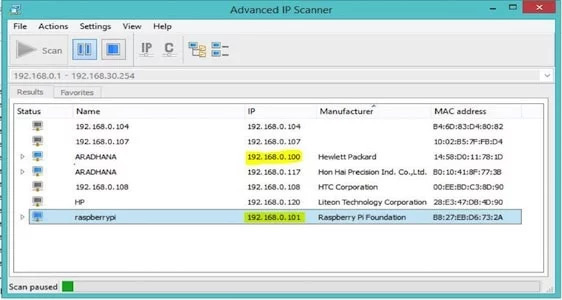 Run PuTTY and simply enter the IP address determined in the above step. Subsequently, you will receive a login prompt. Use login id as pi and password as raspberry. Side Note: For first-time login, you’ll receive a warning for a security alert. Click on "Yes" and proceed. 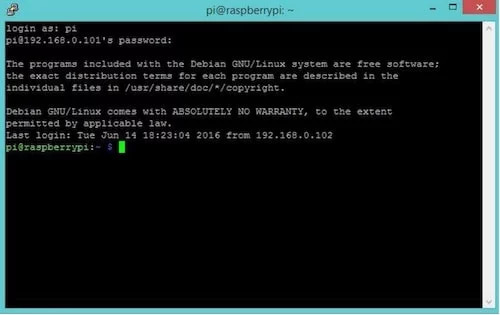 You have now opened a terminal session on your Raspberry Pi, which can be accessed through your Windows laptop. Open your terminal window and enter the following command: ssh 192.168.0.101 -l pi (Put the IP address of your Pi after ssh). Enter the password as raspberry. You can now access the Pi’s terminal on the terminal window of your host computer. Please note that the cursor won’t move forward while entering the password due to default settings. Enter the command sudo raspi-config in the terminal window and get started with the initial configuration. Go to >Raspi-Config>expand_rootfs>OK to configure the Pi to use the entire space on the SD card (otherwise only as much space will be used up as the OS requires). Apart from the above, you can go through the other available options and configure according to your needs. Woohoo! Your Raspberry Pi is now ready for you to go crazy! You can install WAMP/LAMP/MAMP servers following this tutorial or several others you can find through an internet search. We were working on a Windows laptop, therefore we have the Bitnami WAMP Stack loaded. There are other development environments available too. Some of the further steps are specific to Bitnami WAMP Stack; you can customize them according to your servers. While installing Bitnami WAMP Stack, you will be prompted to create a MySQL "root" account by entering a password. Make one and remember it. Note: Since this project is purely for learning purposes, our server-side codes are both in Python and PHP. You will have to configure your Apache server to run .py files, though. You can do this by editing the httpd.conf file in the apache install directory. Search for the line: "Options Indexes FollowSymLinks" and add "ExecCGI"
Note: Your DocumentRoot directory, and all your CGI scripts should be saved in this directory. Search for the line: "#Add Handler cgi-script .cgi". Uncomment it and add a ".py" in the end. 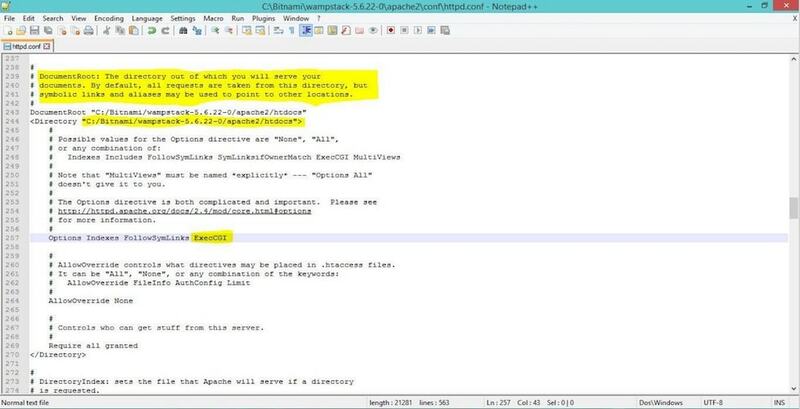 Restart your Apache Server to apply the configuration changes. Now, save a test Python file in your DocumentRoot Directory and run it on your browser to check if things are working correctly. You can check the error log (C:\Bitnami\wampstack-5.6.22-0\apache2\logs\error.log) for hindrances and correct them as required. Login to PHPMyAdmin (enter: localhost/phpmyadmin/ in the address bar of your browser) using the password you entered during installation of Bitnami WAMP Stack with username root, and create a new database called "templog". Now, create two tables in that database. regids: This will store all the RegIDs of the registered users (one Field: RegID). You now have all the essentials in place. Let’s get started with the device and sensor setup and get down to the codes! Connect the Ground Pin of the sensor to physical pin 6 of the GPIO board. 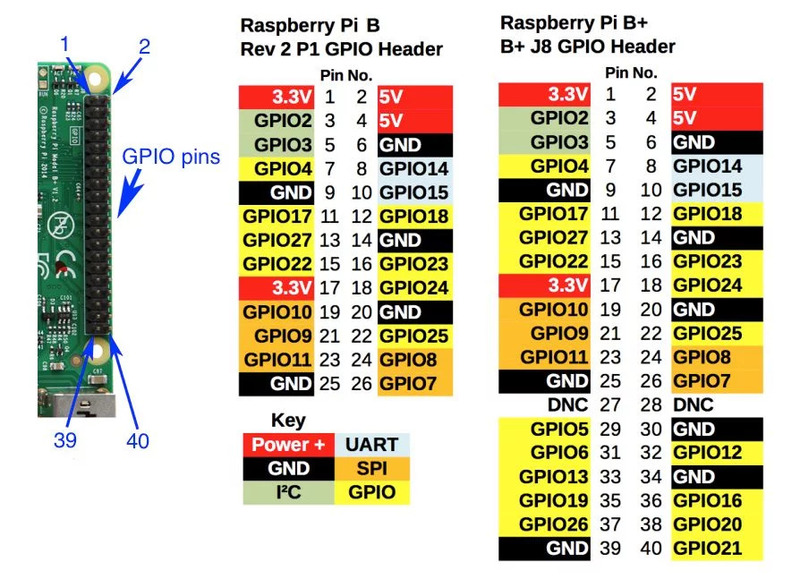 Connect the Data Pin to physical pin 7 of the GPIO board. Connect VCC to physical pin 1 (3.3V) of the GPIO board. You will have to add one-wire support to work with the sensor. Edit the /boot/config file by running the command sudo nano /boot/config.txt and add dtoverlay=w1-gpio to the end of the file. In our case, 28-021502c3a0ff is the device name assigned to the temperature sensor. Edit the command cd 28-021502c3a0ff according to your device name. If it says "t=27062", that means that the current temperature is 27.062 degree Celsius. "YES" in line 1 signifies that a valid temperature has been recorded in the file. Connect the Ground pin of the PIR sensor to the Ground pin of the temperature sensor. Connect VCC pin to physical pin 2 (5V) of the GPIO board. Connect Output pin to physical pin 11 of the GPIO board. print "Error in reading file, please try again"
print "Check DS18B20 connection, no device recognized"
print "Process Initialized.\nWaiting for Interrupt..."
print "\nProcess Initialized Again.\nWaiting for Interrupt..."
Note: Remember to change the IP Address in the URL to the local IP address of your server. The code checks the current state of the input pin in a while loop. When the PIR sensor detects motion, the current state becomes 1 and the if the condition becomes true. The file name that stores the temperature in the last characters of its second line is w1tempfile. Note that the device name for a DS18B20 will always be of the type 28-xxxx, and in the case of multiple temperature sensors, each will have its own unique name. The function probe_temp returns the value of recorded temperature in degrees Celsius. Next, a request is made to the server and the temperature value is sent through the GET method. We’ll get to the server side script to handle the request in a minute. The net time sleep is 6 seconds, meaning the "if" loop takes a total of 6 seconds to execute. This was done because, with the detection delay and lock time, the minimum wait between registering two different signals by the PIR sensor came to 6s in our case. Get the temperature values sent by the Raspberry Pi. Record the data in a database along with the date and time relevant to the data. Display the data in a tabular form. Send push notifications to registered users when the temperature exceeds a certain threshold. Download MySQLdb module for Python and make sure it is of the same bitness as your Python. 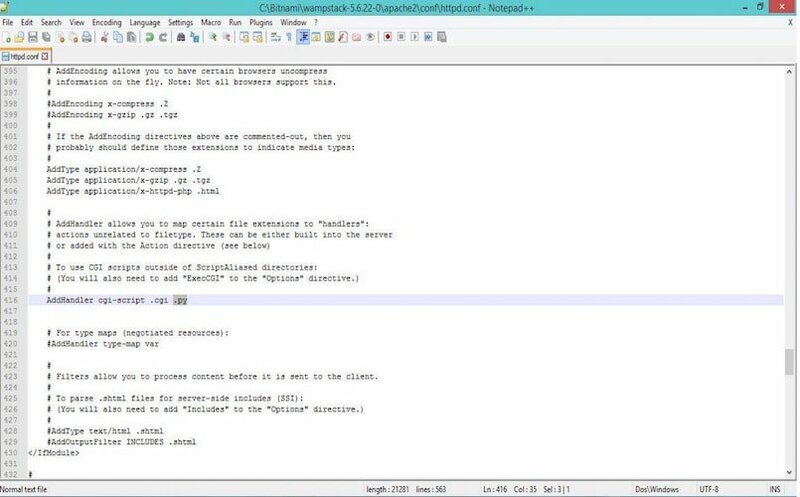 # Server side code to read data sent by pi through GET method. 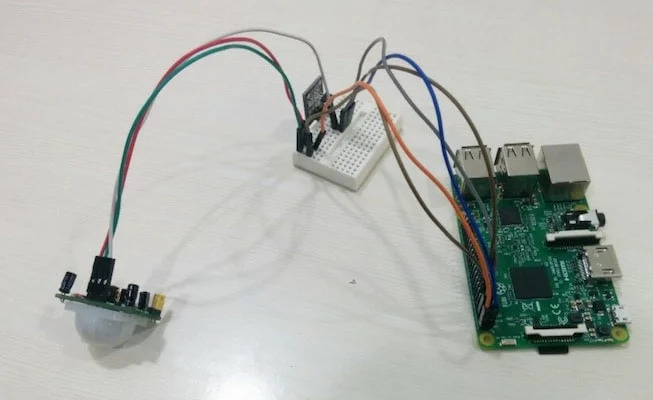 print "\nProcess Failed to Complete"
When the Raspberry Pi sends a request to the server, this file identifies and stores the sent temperature value in a variable. In case the value is above our set threshold, it sends a URL request to another file on the same server, which sends a GCM push notification to all registered users. The code is responsible for entering the temperature value as well as the date and time of the moment it was registered into the table in our database. 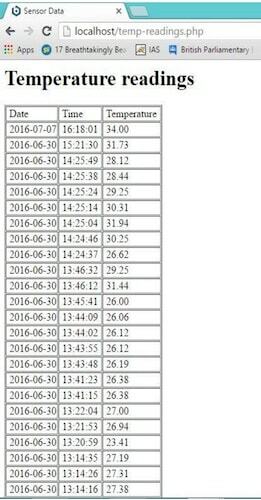 Now, to display the table in a tabular form, download this file: "temp-readings.php" from here and save it.